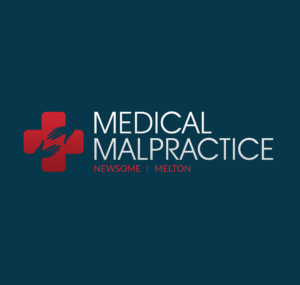 Medical Malpractice Help » Medical Malpractice Causes » Malpractice » Is X-Ray Overexposure Considered Medical Malpractice? Since their implementation within the medical field, X-Rays have been an important diagnostic tool for medical professionals. Being able to view an image of the internal structure of a patient is an invaluable aid for both diagnostics and operative care. X-rays use radiation in order to produce an image. While all radiation is dangerous in large enough doses, the radiation a patient is exposed to under routine care is carefully limited in terms of exposure. Doctors limit not only their own exposure to X-rays, but also the exposure of a patient. There are laws in place to limit the number of X-rays that can be taken in a given year, as well as limiting the total amount of radiation a patient is exposed to. However, occasionally a patient can be exposed to more than their limited doses, which opens up the possibility of medical malpractice lawsuits. Overexposure to X-rays can happen for a variety of reasons. Improperly shielded machines, improperly shielded rooms, and careless conduct by X-ray technicians are all possible vectors for overexposure. Medical malpractice lawsuits relating to X-ray exposure can be difficult to prove, as it is difficult to establish the exact cause of the radiation exposure. Radiation overdose can cause general failures of organs and cancerous tumors to develop. If you suspect you may have experienced radiation overdose, frequently check in with your doctor and have all of your symptoms documented. Patients who feel they are a victim of X-ray overexposure and are attempting to file a medical malpractice lawsuit should recognize that the burden of proof falls on them. The patient will have to prove whether the exposure took place because of a medical practitioner’s negligence, the negligence of a technician responsible for testing and repairing the machine, or some other person’s direct involvement. If a patient can gather proof of negligence that would be sustainable in a court of law, they must then prove that the overdose of radiation they received caused tangible damages. If the overdose was from dental or cranial X-rays, patients should check for hair loss, headaches, confusion, possible brain damage, or even cancer, as all of these are possible radiation side effects. Proper documentation is imperative as it demonstrates timing, which is a crucial element. Symptoms have to appear after the exposure to radiation, but within a certain window of time following the possible overexposure. Radiation fades over time and symptoms will not develop spontaneously after some time. The exact timing depends on the radiation, the degree of exposure, and the area of exposure. A medical specialist is necessary to confirm that symptoms could have been caused by radiation overexposure.